If you shop at any of the Lucky Supermarts in California, you may want to check your bank card accounts. On November 23, 2011, Lucky notified customers that the company had found compromised credit/debit card readers in twenty of their stores. 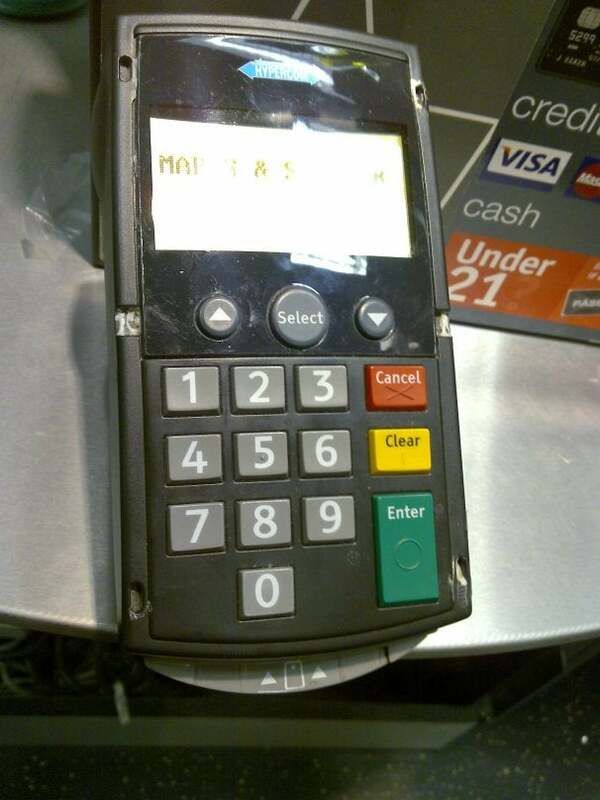 In the notice, Lucky announced that it had discovered the compromised readers only in self-checkout lanes during the course of regular store maintenance, and that the tampered card readers were removed immediately. Lucky also says that they have also taken steps to improve the security of the card readers in all 234 of their stores. So far, Lucky has not been notified of any compromised accounts, but it does recommend that any customers who used self-checkout lanes in any of the affected stores to check and monitor their accounts. Given how common identity theft has become, this attack on Lucky store customers comes at no surprise. According to the Federal Trade Commission, there were 721,418 fraud-relatd complaints to the Consumer Sentinel Network (CSN) in 2009 alone, and that number is likely higher today. These numbers of fraud complaints are only going to go up as more and more people go digital. If you use your debit or credit cards for any of your purchases, you should make sure that you frequently check your accounts, and that you change your pin from time to time to avoid not just losing money, but also identity theft. And be sure to check your credit report on an annual basis to watch for fraud.